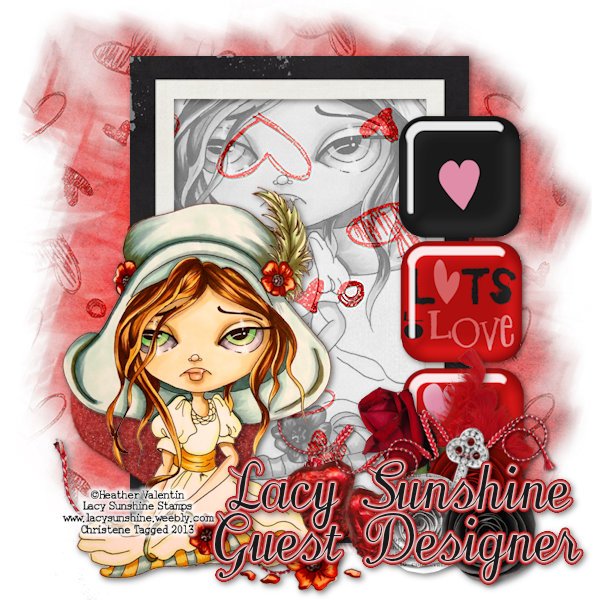 Kreate With Me 2: Guest Sunshine Girl!!!!! I'm so excited about my post today!!!! As my title states; I'm the Guest Designer for Lacy Sunshine & I am thrilled beyond belief that I was chosen to design with them!!!!! These ladies are uber talented & I'm honored to be amongst them...thank you very much for having me! I chose to play with Rory's Lucky Clovers & she was such a delight to color! I LOVE Heather's images because they're so cute & it's been great learning to color with them! Our challenge for the next 2 weeks is Anything Goes so pull out your FAVE crafty items & create away peeps! The Sunshine Girls made some pretty awesome works of art so check out our blog to see what they created! While you're there; read up on the rules so you all can play along with us....have fun everyone & happy stamping!!! Thanks so much for stopping by but don't go too far....I have another post coming up for Crafting When We Can so stay tuned! Gorgeous card - thanks for joining us as GDT at Lacy Sunshine! Pretty, Pretty card! My two favorite colors! Congrats on the GDT spot. 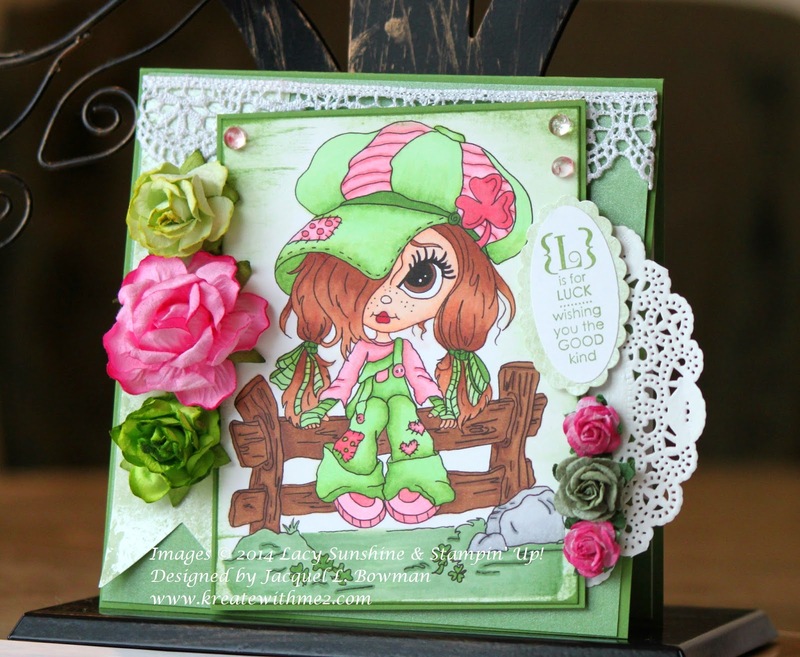 Wow I love the dolly and flower embellishment , this card is very cute. Congratulations, on the guest spot! I so love the addition of the flowers. They look really great with the image. Such a fun card! So pretty card ! Thanks for your participation at the Paper Creator challenge ! What a Gorgeous Card! Loooove your Beautiful Colour Choices and all those Stunning Layers! Have a Great Week! What a beautiful card, really pretty..Thank you for joining in with our challenge at Delicious Doodles and hoping you join us again soon. Good luck in draw..Hugs Lozzy x DT. Jackie, that girl's attitude reminds me of you:) She just looks like she'd be so much fun! I love the colors you chose and your Copic skills are terrific!!!!! Adorable!!!! You just can't beat that pink and green combo either! VERY nice! Love your coloring and your layout. Thanks for being our guest designer.